How can you become more effective with less effort? More coffee and less sleep? Buy lottery tickets? No! However there is a natural way to create greater vitality and prosperity. Discover the proven formula used by many professional urban women to access greater energy, wisdom, and prosperity using the power of their own hormonal cycle. 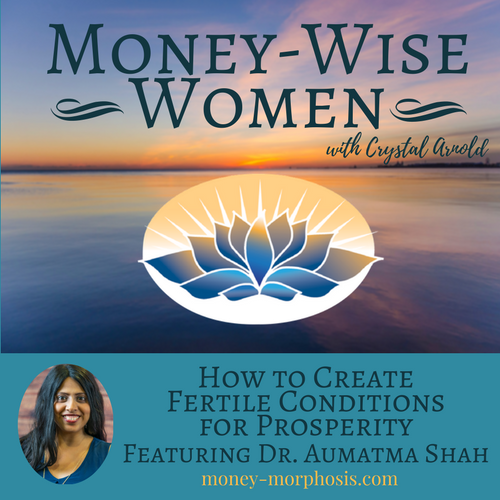 Most of the women Dr. Aumatma sees in her practice have imbalanced hormones. Many are “successful” urban career women who also have an aversion to the feminine. They resist the soft, relaxed, intuitive perspective that allows and receives. They are often driven by a strong masculine force that creates, generates, and forces outward. The key for each person is to find a balance between their masculine and feminine qualities. Listen and learn how to work more intelligently with your own natural rhythms and have greater influence at key times in the workplace and at home. Its simple to use your hormonal cycles to create greater flow and ease within your business. Understanding your daily cortisol patterns allows you to be more productive and effective. Similarly, understanding the monthly female cycle allows women to work more intelligently with the rhythms of nature to have greater influence at key times within the fertility cycle. Aumatma and I met almost a decade ago at a retreat with visionary Charles Eisenstein, author of Sacred Economics. In this conversation we explore the importance of getting support from others and the power of creating a new story of money through intentional group work. We have seen the magic of the collective field. Perhaps you’ve experienced those meaningful conversations that create synergy and transform our beliefs and behaviors about money. Hear about the upcoming “Emerging + Evolving Economies Jam” coming up in April 2017 in California. This event has been key for Aumatma as she has shifted her own personal story about money and community, while growing her medical practice. You can join a diverse group of visionaries, organizers, investors, entrepreneurs, and community leaders who will gather for a week of deep listening, systemic inquiry, and self-discovery. We discuss why coming together to discuss money invites personal and collective transformation. Learn how to use hormones to be in sync with your business. Aumatma shares how too many people are swimming upstream to accomplish more, instead of acknowledging and working with the patterns of our physical rhythms. There are daily and monthly cycles of energetic highs and lows that can be utilized to become more effective. Learn how to use your daily cortisol cycle to your benefit. Negligently depleting our resources is not going to enable us to be of service or to create a successful business. Let’s not be squeamish talking about conceiving babies or making money. Because ultimately both are about how we relate to create. The heart of value is connection, with ourselves and with others. This intimacy creates fertile conditions for prosperity, whether you want to grow a baby or your business.